The latest news and information on all aspects of graphene research, development, application and commercialization. Scientists from TPU, Germany, and the United States have found a new way to functionalize a dielectric, otherwise known as 'white graphene', i.e. hexagonal boron nitride (hBN), without destroying it or changing its properties. Thanks to the new method, the researchers synthesized a 'polymer nano carpet' with strong covalent bond on the samples. One of the promising options for using the new material, according to researchers, is catalysts for splitting water in hydrogen and oxygen. With this in view, 'polymer carpets' functioned as carriers of active substances, i.e. matrices. Nickel nanoparticles were integrated into the matrix. Catalysts obtained were used for electrocatalysis. Studies showed that they could be successfully used as an alternative to expensive platinum or gold. 'One of the important challenges in catalysis is forcing the starting material to reach active centers of the catalyst. 'Polymer carpets' form a 3D structure that helps to increase the area of contact of the active centers of the catalyst with water and makes hydrogen acquisition more efficient. It is very promising for the production of environmentally friendly hydrogen fuel,' - says the scientist. Boron nitride is a binary compound of boron and nitrogen. While, hexagonal boron nitride or 'white graphene' is a white talc-like powder with hexagonal, graphene-like lattice. 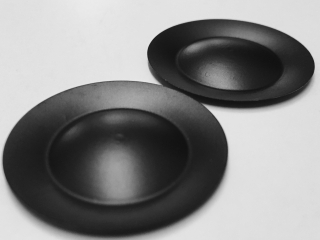 It is resistant to high temperatures and chemical substances, nontoxic, has a very low coefficient of friction, and functions both as a perfect dielectric and as a good heat conductor. Boron-nitride materials are widely used in the reactions of industrial organic synthesis, in the cracking of oil, for the manufacturing of products of high-temperature technology, the production of semiconductors, means for extinguishing fires, and so on. Previously, a number of studies were devoted to functionalization of hexagonal boron nitride. Typically, this process uses strong chemical oxidants that not only destroy the material but also significantly change its properties. The method, which TPU scientists and their foreign colleagues use, allows them to avoid this. 'Studies have shown that we obtained homogenous and durable 'polymer carpets' which can be removed from the supporting substrate and used separately. What is more, this is a fairly universal technology since for functionalization we used different monomers which allow obtaining materials with properties optimal for use in various devices,' - says Prof Raul Rodriguez. Checking out a stack of books from the library is as simple as searching the library’s catalog and using unique call numbers to pull each book from their shelf locations. Using a similar principle, scientists at the Center for Functional Nanomaterials (CFN)—a U.S. Department of Energy (DOE) Office of Science User Facility at Brookhaven National Laboratory—are teaming with Harvard University and the Massachusetts Institute of Technology (MIT) to create a first-of-its-kind automated system to catalog atomically thin two-dimensional (2-D) materials and stack them into layered structures. Called the Quantum Material Press, or QPress, this system will accelerate the discovery of next-generation materials for the emerging field of quantum information science (QIS). Structures obtained by stacking single atomic layers (“flakes”) peeled from different parent bulk crystals are of interest because of the exotic electronic, magnetic, and optical properties that emerge at such small (quantum) size scales. However, flake exfoliation is currently a manual process that yields a variety of flake sizes, shapes, orientations, and number of layers. Scientists use optical microscopes at high magnification to manually hunt through thousands of flakes to find the desired ones, and this search can sometimes take days or even a week, and is prone to human error. Once high-quality 2-D flakes from different crystals have been located and their properties characterized, they can be assembled in the desired order to create the layered structures. Stacking is very time-intensive, often taking longer than a month to assemble a single layered structure. To determine whether the generated structures are optimal for QIS applications—ranging from computing and encryption to sensing and communications—scientists then need to characterize the structures’ properties. “In talking to our university collaborators at Harvard and MIT who synthesize and study these layered heterostructures, we learned that while bits of automation exist—such as software to locate the flakes and joysticks to manipulate the flakes—there is no fully automated solution,” said CFN Director Charles Black, the administrative lead on the QPress project. 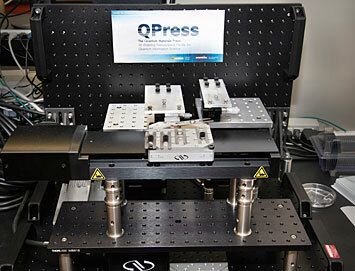 The idea for the QPress was conceived in early 2018 by Professor Amir Yacoby of the Department of Physics at Harvard. The concept was then refined through a collaboration between Yacoby; Black and Kevin Yager, leader of the CFN Electronic Nanomaterials Group; Philip Kim, also of Harvard’s Department of Physics; and Pablo Jarillo-Herrero and Joseph Checkelsky, both of the Department of Physics at MIT. The interest in 2-D materials dates back to 2004, when scientists at the University of Manchester isolated the world’s first 2-D material, graphene—a single layer of carbon atoms. They used a surprisingly basic technique in which they placed a piece of graphite (the core material of pencils) on Scotch tape, repeatedly folding the tape in half and peeling it apart to extract ever-thinner flakes. Then, they rubbed the tape on a flat surface to transfer the flakes. Under an optical microscope, the one-atom-thick flakes can be located by their reflectivity, appearing as very faint spots. Recognized with a Nobel Prize in 2010, the discovery of graphene and its unusual properties—including its remarkable mechanical strength and electrical and thermal conductivity—has prompted scientists to explore other 2-D materials. Many labs continue to use this laborious approach to make and find 2-D flakes. While the approach has enabled scientists to perform various measurements on graphene, hundreds of other crystals—including magnets, superconductors, and semiconductors—can be exfoliated in the same way as graphite. Moreover, different 2-D flakes can be stacked to build materials that have never existed before. Scientists have very recently discovered that the properties of these stacked structures depend not only on the order of the layers but also on the relative angle between the atoms in the layers. For example, a material can be tuned from a metallic to an insulating state simply by controlling this angle. Given the wide variety of samples that scientists would like to explore and the error-prone and time-consuming nature of manual synthesis methods, automated approaches are greatly needed. In September 2018, further development of the QPress was awarded funding by the DOE, with a two-part approach. 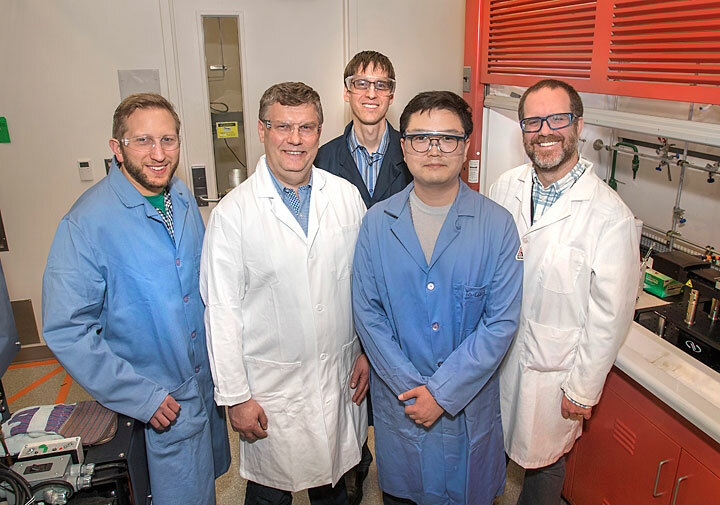 One award was for QPress hardware development at Brookhaven, led by Black; Yager; CFN scientists Gregory Doerk, Aaron Stein, and Jerzy Sadowski; and CFN scientific associate Young Jae Shin. The other award was for a coordinated research project led by Yacoby, Kim, Jarillo-Herrero, and Checkelsky. The Harvard and MIT physicists will use the QPress to study exotic forms of superconductivity—the ability of certain materials to conduct electricity without energy loss at very low temperatures—that exist at the interface between a superconductor and magnet. Some scientists believe that such exotic states of matter are key to advancing quantum computing, which is expected to surpass the capabilities of even today’s most powerful supercomputing. A fully integrated automated machine consisting of an exfoliator, a cataloger, a library, a stacker, and a characterizer is expected in three years. However, these modules will come online in stages to enable the use of QPress early on. The team has already made some progress. They built a prototype exfoliator that mimics the action of a human peeling flakes from a graphite crystal. The exfoliator presses a polymer stamp into a bulk parent crystal and transfers the exfoliated flakes by pressing them onto a substrate. In their first set of experiments, the team investigated how changing various parameters—stamping pressure, pressing time, number of repeated presses, angle of pressing, and lateral force applied during transfer—impact the process. In collaboration with Stony Brook University assistant professor Minh Hoai Nguyen of the Department of Computer Science and PhD student Boyu Wang of the Computer Vision Lab, the scientists are also building a flake cataloger. 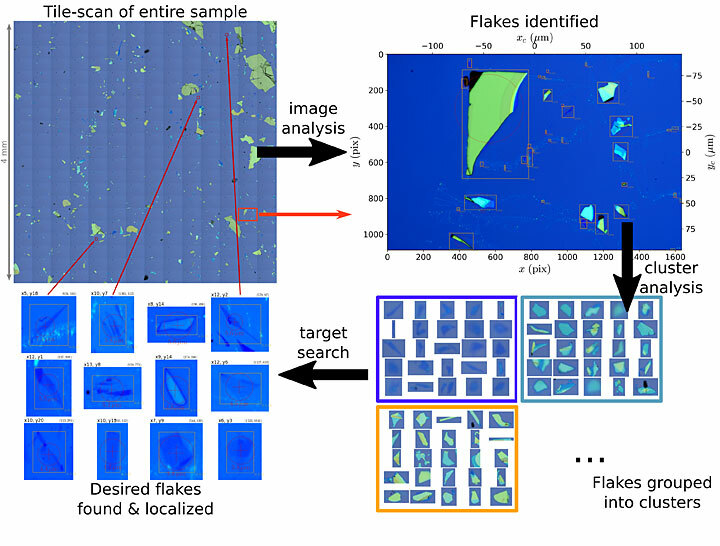 Through image-analysis software, the cataloger scans a substrate and records the locations of exfoliated flakes and their properties. Eventually, the team plans to store a large set of different catalogued flakes on shelves, similar to books in a library. Scientists could then access this materials library to select the flakes they want to use, and the QPress would retrieve them. According to Black, the biggest challenge will be the construction of the stacker—the module that retrieves samples from the library, “drives” to the locations where the selected flakes reside, and picks the flakes up and places them in a repetitive process to build stacks according to the assembly instructions that scientists program into the machine. Ultimately, the scientists would like the stacker to assemble the layered structures not only faster but also more accurately than manual methods. The final module of the robot will be a material characterizer, which will provide real-time feedback throughout the entire synthesis process. For example, the characterizer will identify the crystal structure and orientation of exfoliated flakes and layered structures through low-energy electron diffraction (LEED)—a technique in which a beam of low-energy electrons is directed toward the surface of a sample to produce a diffraction pattern characteristic of the surface geometry. Researchers from Tokyo Metropolitan University have used carbon nanotube templates to produce nanowires of transition metal monochalcogenide (TMM), which are only 3 atoms wide in diameter. These are 50 times longer than previous attempts and can be studied in isolation, preserving the properties of atomically quasi "1D" objects. The team saw that single wires twist when perturbed, suggesting that isolated nanowires have unique mechanical properties which might be applied to switching in nanoelectronics. Two-dimensional materials have gone from theoretical curiosity to real-life application in the span of less than two decades; the most well-known example of these, graphene, consists of well-ordered sheets of carbon atoms. Though we are far from leveraging the full potential of graphene, its remarkable electrical and thermal conductivity, optical properties and mechanical resilience have already led to a wide range of industrial applications. Examples include energy storage solutions, biosensing, and even substrates for artificial tissue. Yet, despite the successful transition from 3D to 2D, the barrier separating 2D and 1D has been significantly more challenging to overcome. A class of materials known as transition metal monochalcogenides (TMMs, transition metal + group 16 element) have received particular interest as a potential nanowire in precision nanoelectronics. Theoretical studies have existed for over 30 years, and preliminary experimental studies have also succeeded in making small quantities of nanowire, but these were usually bundled, too short, mixed with bulk material or simply low yield, particularly when precision techniques were involved e.g. lithography. The bundling was particularly problematic; forces known as van der Waals forces would force the wires to aggregate, effectively masking all the unique properties of 1D wires that one might want to access and apply. Now, a team led by Assistant Professor Yusuke Nakanishi from Tokyo Metropolitan University has succeeded in producing bulk quantities of well-isolated single nanowires of TMM. They used tiny, open-ended rolls of single-layered carbon, or carbon nanotubes (CNTs), to template the assembly and reaction of molybdenum and tellurium into wires from a vapor. They succeeded in producing single isolated wires of TMM, which were only 3-atoms thick and fifty times longer than those made using existing methods. These nanometer-sized CNT "test tubes" were also shown to be not chemically bound to the wires, effectively preserving the properties expected from isolated TMM wires. Importantly, they effectively "protected" the wires from each other, allowing for unprecedented access to how these 1D objects behave in isolation. While imaging these objects using transmission electron microscopy (TEM), the team found that these wires exhibited a unique twisting effect when exposed to an electron beam. Such behavior has never been seen before and is expected to be unique to isolated wires. The transition from a straight to twisted structure may offer a novel switching mechanism when the material is incorporated into microscopic circuits. The team hope the ability to make well-isolated 1D nanowires might significantly expand our understanding of the properties and mechanisms behind the function of 1D materials. Nanofluidic channels feature a unique unipolar ionic transport when properly designed and constructed. Recent research in nanofluidics has adopted reconstructed layered two-dimensional (2D) sheets – such as graphene oxide or clay – as a promising material platform for nanofluidics. These membranes contain a high volume fraction of interconnected 2D nanochannels. Compared to other materials used for nanofluidic devices, such as anodized aluminum oxide membrane, block copolymer membrane and nanofluidic crystals, a unique feature of layered membranes is that the channels are horizontally aligned and the channel height (i.e., the spacing between the layers), which is responsible for confinement of the electrolyte, remains uniform throughout the entire thin film. "However, mass and charge transport in existing membrane materials follows their concentration gradient," Wei Guo, a professor at the Technical Institute of Physics and Chemistry, Chinese Academy of Sciences, Beijing, tells Nanowerk. "Attaining anti-gradient transport as effective as natural counterparts remains a great challenge in fully abiotic nanosystems." In new work led by Guo, reported in Nature Communications ("Photo-induced ultrafast active ion transport through graphene oxide (GO) membranes"), the researchers demonstrate a coupled photon-electron-ion transport phenomenon through graphene oxide membranes. It shows a straightforward way on how to power the transport in 2D layered materials using the energy of light. "Using the energy of light, cations are able to move thermodynamically uphill over a broad range of concentrations, at rates orders of magnitude faster than that via simple diffusion," Guo explains. "Based on this mechanism, we developed photonic ion switches, photonic ion diodes, and photonic ion transistors as the fundamental elements for active ion sieving and artificial photosynthesis on synthetic nanofluidic circuits." This is the first discovery of photo-induced active (anti-gradient) ion transport in 2D layered materials with extraordinarily high pumping rates. It provides a completely new way for remote, non-invasive, and active control of the transport behaviors in synthetic membrane materials. "Using light to control the mass and charge transportation in fully synthetic membranes is the dream of a materials scientist, like me," says Guo. "As far as I know, many research groups currently are engaged in this field. However, their findings are restricted to use the light as a gate, allowing or prohibiting the transport. In contrast, we use the light as a motive force to realize active transport." Upon asymmetric light illumination, a net cationic flow through the layered graphene oxide membrane is generated from the non-illuminated region to the illuminated region. This phenomenon is reported for the first time. Against a concentration gradient, the pumping rates for cations can be five orders of magnitude higher than that via simple diffusion. The team established a theoretical model and performed molecular dynamics simulations to unveil the mechanism. Light irradiation reduces the local electric potential on the graphene oxide membrane following a carrier diffusion mechanism. 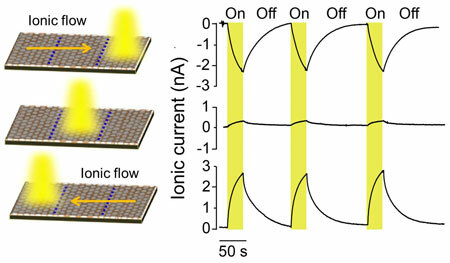 When the illumination is applied to an off-center position, an electric potential difference is built across the GO strip that can drive the transport of ionic species. Superior to existing molecular transport systems, the light-induced active ion transport reported in this work does not rely on lipid or liquid membranes, which significantly improves its robustness and compatibility. In addition, it does not hinge on specific ion-binding shuttle molecules to achieve the transmembrane ion transport. Thus, its transport range can be at the scale of centimeters. This work provides a new route for remote, non-invasive, and active control of the transport behaviors in synthetic membrane materials. It demonstrates a way to fabricate innovative membrane materials for active ionic sieving, artificial photosynthesis, and modular computation on integrated nanofluidic circuits. 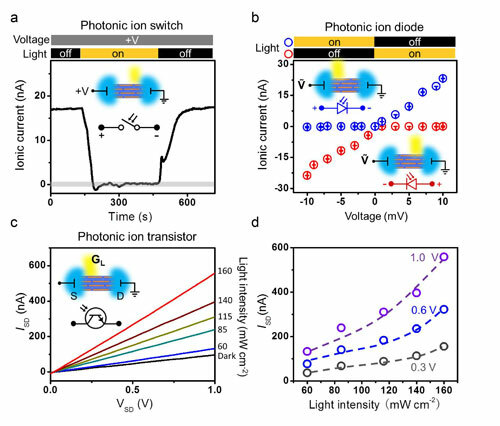 Following the mechanism proposed in this work, as shown in the figure below, the researchers constructed photonic ion switches (PIS), photonic ion diodes (PID), and photonic ion transistors (PIT) as the fundamental elements for light-controlled nanofluidic circuits. "So far in our lab, the photo-induced active ion transport systems has been developed to the third generation," notes Guo. 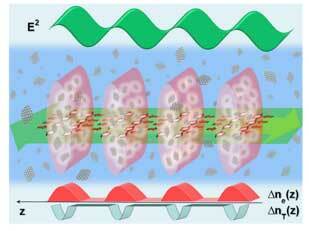 "The photo-induced active ion transport phenomenon can be also found in almost the whole family of 2D semiconductors. There is tremendous room to further exploit their unique photo-responsiveness in liquid processable colloidal 2D materials. The present work opens up exciting new possibilities." "Now, we are trying to amplify the generation of photocurrent and voltage, and scale up the membrane materials with, for example, printing techniques," he concludes. "Also, we intend to further extend the scope of the materials with which the active transport behaviors can take place." The CORDIS Results Pack showcases 12 articles on 6 ambitious cutting-edge EU research projects funded under the EU’s FP7 and Horizon 2020 research programmes relevant to graphene and 2D materials. 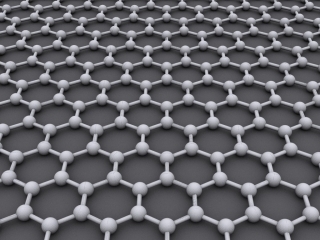 Of these, seven articles cover different aspects of the Graphene Flagship. The Graphene Flagship is the EU’s biggest research initiative and has a budget of EUR 1 billion, representing a new form of joint, coordinated research initiative on an unprecedented scale. Through a combined academic-industrial consortium, the research effort covers the entire value chain, from materials production to components and system integration, aiming to exploit the unique properties of graphene. An introduction to graphene outlines work conducted by the Flagship including collaboration with the European Space Agency over the use of graphene in space applications such as light propulsion and thermal management. Researchers also used optoelectronic communication systems to provide fast data for the future. The large-scale production of graphene for commercial market applications involved scaling up manufacturing to industrial scale whilst maintaining consistency high quality and cost efficiency. Scientists investigated chemical processing and functional applications of graphene and graphene-related materials for engineering new molecular structures with unique properties. Graphene spintronics utilised both electron charge and spin at room temperature to create new possibilities for information processing and storage. Finally the Flagship has investigated the use of graphene for biomedical applications to develop innovative medical devices and sensors for detecting treating and managing nervous system diseases. European graphene research doesn’t all fall under the remit of the Flagship and researchers are using other EU funding mechanisms to undertake other projects. GRAPHEALTH produced the next generation of wearable sensors while GRASP applied interactions between graphene and light to quantum computing and biomedicine. GraTA developed tunneling accelerometers for use in machine vibration monitoring. HIGRAPHEN created dense polymer composites for use in optoelectronics and energy storage. PolyGraph (working closely with the Graphene Flagship) studied graphene-reinforced polymers for use in the aeronautics and automobiles sectors. When the material graphene, which earned two University of Manchester scientists the Nobel Prize in Physics, exploded onto the research scene in 2004, many thought it was destined to change the world. Bulletproof armour and space elevators, super-antibiotics and rust-proof vehicles were only a few of the imagined applications of graphene, some of which are in development. However, realizing the full impact of the two-dimensional form of carbon carries as much promise as it does challenges. As people around the globe race to solve the riddle of taking this emerging technology to market, researchers in the lab of McGill Professor Thomas Szkopek had a wave—a sound wave—of inspiration. Szkopek devotes much of his research activity to exploring and exploiting 2D atomic crystals and he is especially curious about graphene. 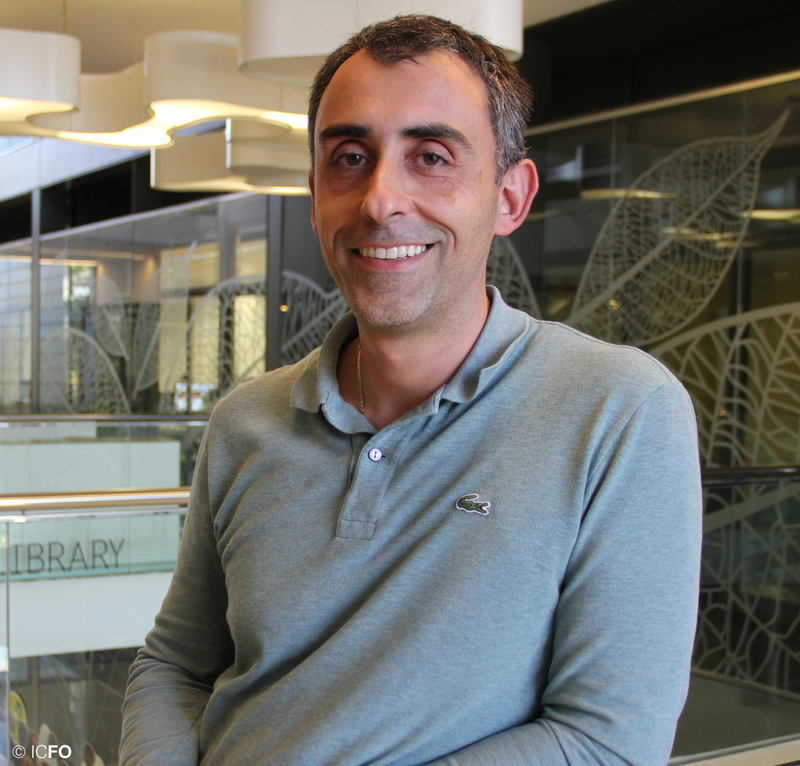 In his Nanoelectronic Devices and Materials lab, he and his students often have impromptu discussions about possible applications for graphene and how they could be developed. “Most of the ideas are bad – but that process is how good ideas get started,” he says. Szkopek has always been interested in solving science problems. He looks to his family for the source of his perseverance in the face of challenges. “I inherited a hard work ethic and tolerance for failure. You learn more from your failures than your successes, if you take the time to think about why things failed." 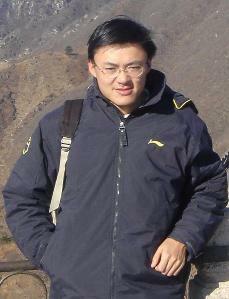 He also uses his scientific connections with a diverse network of key players—collaborators from different disciplines, experts in transferring technology from lab to industry, and possible funders—to help students translate and apply new knowledge into practical devices with commercial potential that could benefit society and have a positive impact on people’s daily lives. 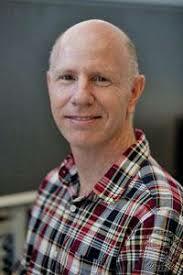 As a graduate student at UCLA before arriving at McGill in 2006, Szkopek was encouraged to ask probing physics questions and find practical engineering solutions to difficult problems by his Ph.D. supervisor, electrical engineering professor and physicist Eli Yablonovitch. Szkopek’s mentor introduced a factor that describes light-trapping phenomena, referred to as the “4n2 limit”, which is now used worldwide in almost all commercial solar panels. Yablonovitch was awarded a McGill Honourary Degree in 2018. The deep question always at the top of his mind: how to harness the potential of graphene? 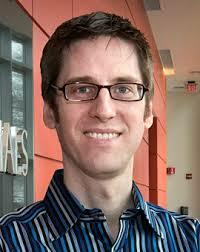 During one scientific discussion in the lab, Peter Gaskell, a Ph.D. student who was working with Szkopek on developing lithium-ion batteries made with graphene-treated anodes for electric vehicles, proposed a novel idea about using graphene oxide for an acoustic application: to improve sound quality by using the material in a microphone. 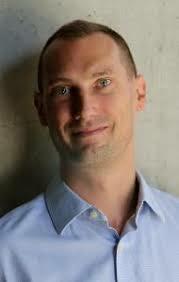 While later sharing a beer with his brother Eric Gaskell, who was doing a Ph.D. in sound engineering at McGill’s Schulich School of Music, Peter floated his idea about graphene and graphene oxide’s mechanical properties and potential application in sound amplification. Eric, who had worked for Audio Engineering Associates (AEA) in California building ribbon microphones for high-performance studio recording and has been a recording engineer at the Aspen Music Festival, was excited and intrigued. He agreed that graphene oxide might be an ideal material for acoustic membranes in ribbon microphones to enhance sound quality. Its high stiffness could potentially produce better sound with less distortion, while the low-density and lightness could lead to greater energy efficiency. Peter again pitched the idea to Szkopek and his lab mates. “We couldn’t find any obvious holes in the idea, so we thought it should work,” says Szkopek. The Gaskell brothers proceeded to design, develop and build a graphene oxide membrane for ribbon microphones in his lab. Szkopek’s initial endorsement and support of the idea, along with access to his lab space, specialized equipment, guidance and expertise in graphene, were invaluable: “Thomas’ enthusiasm for the idea allowed us to take it to the next level,” says Eric. They successfully created a prototype acoustic membrane for ribbon microphones formed from ultra-thin, flat sheets of graphene oxide-based material, which markedly improved sound quality. Szkopek encouraged them to explore commercializing the invention. To start them on their way, Szkopek called Derrick Wong, a Technology Transfer Manager in McGill’s Office of Innovation and Partnerships. 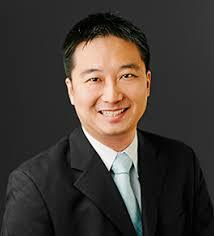 Impressed, Wong cautioned that the specific application wasn’t likely to attract funding from investors. “The prototype was cool, but the market for high-end microphones is very limited,” he says. 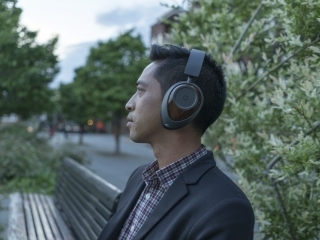 They discussed other possible applications that could expand the market for graphene oxide membrane technology, including loudspeakers for headphones, a $1.6 billion USD market. The Faculty of Engineering saw the potential of this idea and raised money from donors that enabled Szkopek to develop and pursue it with an Innovation Award for $7,000. “That funding was crucial because it allowed us to hire a summer student to work on developing a prototype for headphones. We didn’t need a million dollars, just thousands,” he says. Electrical engineering undergraduate Raed Abdo helped devise techniques to form the graphene-based material into cone-shaped loudspeaker membranes for headphones, rather than flat acoustic membranes for microphones. This turned out to be crucial for attracting investors. Wong had identified TandemLaunch, a Montreal-based business incubator that specializes in creating start-ups from university research and has strong connections in the consumer electronics and audio industries, as an ideal potential early-stage investor. Eric would carry the invention forward as an entrepreneur-in-residence, who receives business mentorship, guidance and support in building a technology company. 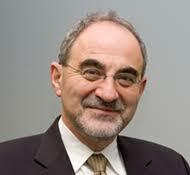 Szkopek would be technical advisor and, as a world-leading graphene scientist, build confidence with investors. 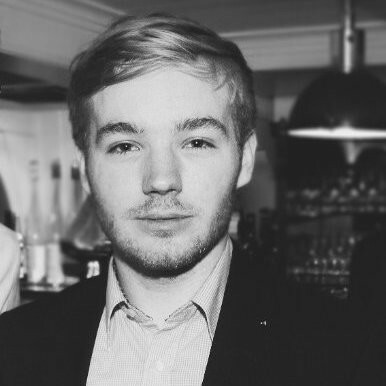 Gaskell joined the incubator in 2016, where he assembled a co-founding team for Ora Graphene Audio, which includes business lead Ari Pinkas and materials lead Sergii Tutashkonko. The start-up received seed funding to develop and commercialize the technology, along with valuable mentoring and infrastructure support. To date, Ora has raised $1 million through Kickstarter and is working closely with several of the biggest consumer electronics brands to develop graphene-based loudspeakers for the audio industry and graphene-based micro speakers for laptops, tablets and cell phones. After Ora’s launch, Szkopek turned his sights to another challenge. He and electrical engineering Ph.D. student Ibrahim Fakih began to explore the potential of graphene’s electronic properties to design and develop a large area, graphene-based field effect transistor for high-precision sensing of ions in water. “This device improves the minimum pH detection limits by 20 times over current silicon transistor and glass electrode sensors at a much lower cost. Making the transistor physically larger makes it quieter,” explains Szkopek, who worked with Wong to identify a promising application for commercialization. Fakih, Szkopek and Abdo co-founded UltraSense, a company that aims to improve water quality monitoring with low-cost, graphene-based sensors. UltraSense won a 2018 McGill Dobson Cup Award for $10,000 and McGill EngInE prize for $5,000. “Water quality is incredibly important, and I’m excited about the local and global possibilities. Imagine a network of sensors continuously feeding data that gives you the levels of contaminants in water and a map in real time,” says Szkopek. The path from curiosity-driven invention to practical, commercial innovation opens the door to dynamic entrepreneurial and employment opportunities for McGill students and graduates who train and do research. Ora inspired more engineering students in Szkopek’s lab to pursue their entrepreneurial ambitions. The International Organization for Standardization (ISO) has published standard ISO/TR 19733:2019, “Nanotechnologies — Matrix of properties and measurement techniques for graphene and related two-dimensional (2D) materials.” ISO states that since graphene was discovered in 2004, it has become one of the most attractive materials in application research and device industry due to its supreme material properties such as mechanical strength, stiffness and elasticity, high electrical and thermal conductivity, and optical transparency. According to ISO, it is expected that applications of graphene could replace many of the current device development technology in flexible touch panel, organic light emitting diode (OLED), solar cell, supercapacitor, and electromagnetic shielding. To gain deeper understanding of the material properties and to find ways to mass produce with fine quality, universities, research institutes, and laboratories are researching graphene and similarly related 2D materials. To lead these revolutionary materials to full commercialization, however, it is essentially demanded that characterization and measurement techniques for important material properties need to be standardized and globally recognized. 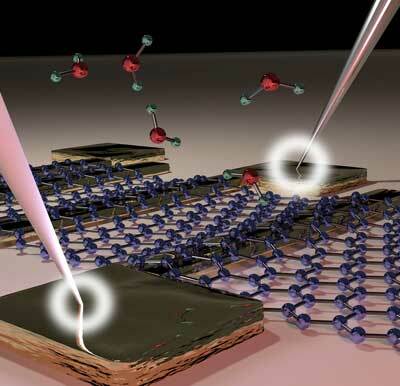 In the standard, characterization and measurement techniques for particular properties of graphene and related 2D materials that need to be standardized are organized in a form of a matrix. ISO suggests that the matrix could serve as an initial guide for developing the necessary international standards in characterization and measurements of graphene and related 2D materials. 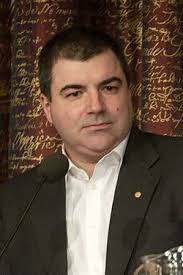 Talking with SciTech Europa, Professor Novoselov, who was co-awarded the 2010 Nobel Prize in Physics, for the discovery and isolation of a single atomic layer of carbon for the first time, explores the research into Graphene Flagship and other 2D materials. At the University of Manchester, UK, in 2004, Professor Sir Kostya Novoselov, along with his colleague Professor Sir Andre Geim, discovered and isolated a single atomic layer of carbon for the first time. The pair received the Nobel Prize in Physics in 2010 in recognition of their breakthrough. On 28 January 2013, the European Commission announced that, out of the six pilot preparatory actions put forwards for the Future and Emerging Technology (FET) Flagships competition, the Graphene Flagship, along with the Human Brain Project, had been selected to receive €1bn in funding over the course of a decade, tasking it with bringing together academic and industrial researchers to take graphene from the realm of academic laboratories into European society, thereby generating economic growth, new jobs, and new opportunities. In February, SciTech Europa attended the Mobile World Congress in Barcelona, Spain. This event is the world’s largest exhibition for the mobile industry, and where, for the fourth consecutive year, the Graphene Flagship hosted its Graphene Pavilion – this year showcasing over 20 different graphene-based working prototypes and devices that will transform future telecommunications. At the pavilion, SEQ met with Professor Novoselov to discuss research into graphene and other two dimensional materials, as well as how the Flagship is working to bolster both fundamental research and applications stemming from these advanced materials. Q. What do you think have been the biggest, and latest, developments in graphene (and other 2D materials) research? There has been a lot of progress in recent years and, indeed, we are no longer talking only about graphene, but also about many other two dimensional materials as well. First of all – new applications of graphene is one example of recent developments – we see new applications emerging on an almost monthly basis. 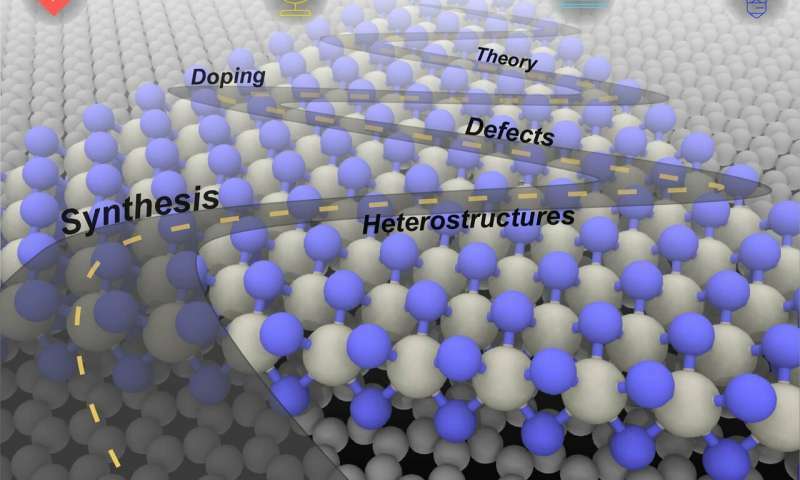 Second, there is still a lot of progress being made in fundamental research on graphene and 2D materials. And those fundamental results are being implemented in applications. In terms of other new 2D materials, there is a lot of activity on ferromagnetic materials. Q. What potential is there now to move graphene forwards, and how would you describe the role of the Flagship in this? The basic technology is in place, and so what is important now is for entrepreneurs and SMEs to convert those developments into commercial applications, and, indeed, we need to help them to do so. The Flagship, of course, has now reached the half way stage, and we therefore need to carefully balance the amount of effort we place on applications with the effort we place on the development of fundamental science, which remains crucial. Nevertheless, we also need to ensure we are helping companies and industry to introduce this material into real products, and that is actually much more difficult, not least because of the fact that this has not been done at this scale before, and so nobody knows how to do it yet. Q. Are you able to utilise EU instruments to help fund commercialisation activities? It is not necessarily funding that is a problem in in Europe; the challenge comes more in the form of bringing together scientists, entrepreneurs, and funders in the same room, and it is still not clear how to achieve that. There is thus the argument that we need to work more closely with entrepreneurs and we need to grow those entrepreneurs who are working on advanced materials because this is a much more challenging area than, say, ‘.com’ applications. Q. What do you feel are the biggest barriers here? It is perhaps the mentality that exists around risk taking that needs to change. Bringing together entrepreneurs, scientists, the technology and the money around the same table is a challenge and, as I have mentioned, it needs to be understood that bringing new materials, especially nanomaterials, to market is much more challenging than it is to bring, for example, new software to consumers. And, of course, the level of required investment is also much larger. Whether we have enough people in Europe who are ready to take this risk is a good question. Q. Would you say that Europe is too risk averse when it comes to this type of investment in comparison to, for instance, the USA? Perhaps; there is certainly a sense that Europe needs to work much harder than the USA or South-East Asia. And the reason for that is not only a lack of those willing to take enhanced risks, but also the level and mobility of the available money and, indeed, how soon financiers expect a return on their investment. Q. Could 2D materials research spark a ‘revolution’ in real world applications? I am not sure that we will see a ‘revolution’; the growth in real world applications utilising graphene is, and will continue to be, a gradual introduction. That is not to say, however, that this gradual process won’t speed up a little over time. And it is great to see that, when it comes to graphene, this introduction, although gradual, is already happening much faster than with any other advanced material that we have seen before. The purpose of the Flagship is to help speed up this process. The Flagship is now investing in research into the safety of graphene. How important is that? This is an example of the sort of issue where the Flagship should take the initiative, because it is not only about graphene; we need to realise that many new nanomaterials are going to play an increasing role in the everyday lives of people, and we need to be prepared for that. There are a great many regulations which have to be passed when bringing such advanced materials to market, including health and safety and toxicology regulations, and very often these are not very well defined because, quite simply, we have never been in this situation before. It can also be quite expensive to run the necessary projects to investigate things like toxicology, and so it is important for projects like the Flagship to take the initiative and help businesses to overcome these barriers. Q. Where are your own research interests going to lie, moving forwards? I do indeed conduct my own research, and within that graphene is not the largest part. I go beyond graphene and work on many other 2D materials and heterostructures, but it is nevertheless exciting to remember that it was graphene that made all the other materials possible as we work on those heterostructures towards new discoveries. How is graphene holding up at Warsaw University of Technology? Warsaw University of Technology (“WUT”), for more than 10 years, has been involved in extensive research into graphene, its applications and production techniques, in both domestic and international projects (it boasts more than 250 scientific publications in international journals and several patents). As the only institution of higher education in Poland, it is a member of the Graphene Flagship programme, the EU’s biggest ever research initiative. The project work is carried out among others in the cutting-edge Center for Advanced Materials and Technologies (CEZAMAT) and is scheduled to continue until at least March 2022. The University cooperates with scientific and industrial partners from Sweden, the United Kingdom, Austria and China to further advance the technology of epitaxial graphene on silicon carbide for applications such as 5G technologies. WUT’s PhD students engage in joint research at scientific institutions across Europe, including Cambridge and Madrid. WUT pursues a number of high-end national projects that focus on research into graphene and new two-dimensional materials: Team-Tech (Foundation for Polish Science), Lider and TechmatStrateg (National Centre for Research and Development), Sonata and Preludium (National Science Centre), Diamentowy Grant (Ministry of Science and Higher Education). The University has established the Graphene Laboratory (Faculty of Chemistry and Process Engineering) dedicated to the carbon nanomaterial production, characterization and exploration of new applications, e.g. hybrid fluorescent materials or infrared radiation absorbers or even some unusual solutions such as the development of new polyester gelcoats to be used in the construction of new generation yachts, Delphia Nano Solution. It is also a promoter of spin-offs aimed at the transfer of graphene technologies and applications to industry and putting them to use for commercial production. Moreover, numerous businesses collaborate with Warsaw University of Technology in application research under joint projects and bilateral agreements. The work on graphene at Warsaw University of Technology covers two types of this material: graphene flakes and epitaxial graphene (film). “The University has several processing lines producing graphene flakes with the use of both chemical methods of oxidation and reduction of graphene oxide and the so-called liquid-phase direct exfoliation method. Last year, a new method was launched for the production of graphene flakes which is cheap, green and easily scalable for industry. WUT is now in the process of patenting this new technology,” says Prof. Mariusz Zdrojek, head of the graphene research group at WUT’s Faculty of Physics. The University has also launched an epitaxial graphene growth (on copper foil) for the purpose of its own application research. Moreover, it has developed and launched the growth technique of new two-dimensional materials in the graphene family, MXenes. The synthesis of other two-dimensional materials, i.e. 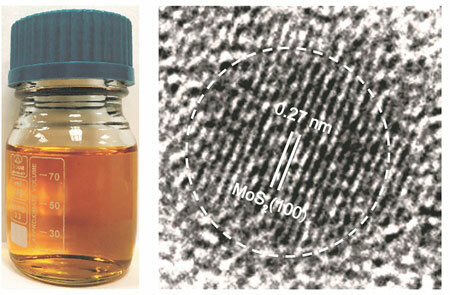 molybdenum disulfide (MoS2), using the epitaxial growth method has also been elaborated. - other, i.e. 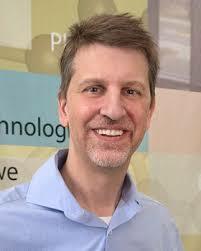 flexible displays, pressure sensors, glucose sensors or amino acid biosensors. For the past few years WUT’s researchers have been also conducting research into the application of other 2D materials. This has resulted in creation of the materials’ potential new applications eg in the production of composites for the space and aerospace industries or as an innovative platform for drug delivery, new optoelectronic nanodevices or devices for terahertz electronics applications. With the appropriate know-how, materials and infrastructure and access to the country’s best specialists, Warsaw University of Technology remains at the leading edge of the development of technologies and applications for other two-dimensional materials, considered to be of strategic importance to advanced industry sectors. Andrey Turchanin from Friedrich Schiller University Jena (Germany) and Yuri Svirko from University of Eastern Finland have been appointed by the Graphene Flagship Executive Board as the new leader and deputy, respectively, of the Graphene Flagship Partnering Division. The vote took place in November and, altogether, 39 Associated Members' representatives voted (43.6%). Andrey Turchanin received 21 votes (53.85%) and Yuri Svirko received 18 votes (46.15%). The primary responsibilities of the Graphene Flagship Partnering Division are to improve cooperation through the identification of opportunities for various types of synergies between Core partners, Partnering Projects (PPs) and Associated Members (AMs), and to provide recommendations on the partnering mechanism to the Graphene Flagship management and other relevant stakeholders based on the feedback and direct interactions with the Partnering Division members. They will gather feedback from Partnering Division members on a regular basis on their needs and challenges in engaging in collaborations with the Graphene Flagship. Andrey Turchanin is Head of the Laboratory of Applied Physical Chemistry & Molecular Nanotechnology at the Friedrich Schiller University Jena. With broad and long-term experience of more than ten years in graphene and related 2D materials for academic research and industrial applications, he was coordinator of the project "Graphene Nanomembranes from Molecular Monolayers" at the Graphene Flagship Open Call from 2014 to 2016. He was also a member of Work Package Enabling Materials and Work Package Flexible Electronics in the Graphene Flagship Core 1 Project from 2016 to 2018. In the FLAG-ERA Joint Transnational Call 2017, he is coordinator of the H2O ("Heterostructures of 2D Materials and Organic Semiconductor Nanolayers") Partnering Project. Yuri Svirko is a physics prrofessor at the Department of Physics and Mathematics at the University of Eastern Finland (UEF). He was the principal investigator on the UEF team, which was involved in the Graphene Flagship ramp up phase and Core 1, therefore he has experience working both as a partner and as an Associate Member of the Flagship. 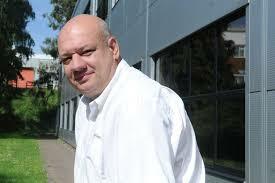 He is an internationally recognized expert in the field of graphene science, with wide experience in EU and national projects focused on the fabrication of micro and nanoscale optical components, among others. 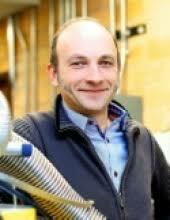 Yuri Svirko is also the principal investigator of the CoExAN Partnering Project "Collective Excitations in Advanced Nanostructures". The SCOPE project, funded by the European Commission, provides support to institutions and researchers involved in Graphene Flagship Partnering Projects (PPs) and Associated Members (AMs) by granting several types of grants to help them integrate with the Graphene Flagship Core projects. Communication of research results is also offered via news articles and dissemination in social media. The Graphene Flagship Partnering Division is also supported by the SCOPE travel grants that make the attendance of their members to the governance meetings of the Graphene Flagship posible. 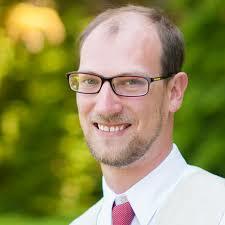 Andrey Turchanin is also a member of the SCOPE Advisory Committee. Graphene@Manchester at The University of Manchester is an on-going programme of activity to ensure that Manchester and the UK play a leading international role in developing the revolutionary potential of graphene. Graphene@Manchester is creating a critical mass of graphene and 2D materials expertise made up of scientists, manufacturers, engineers, innovators, investors and industrialists to build a thriving knowledge-based economy. At the heart the vision is the National Graphene Institute and the Graphene Engineering Innovation Centre (GEIC), multi-million pound facilities with a commitment fostering strong industry-academic collaborations. 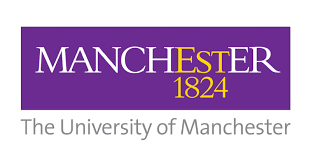 The Graphene Council is a proud founding Affiliate Member of the GEIC, providing access to a word class facility and the graphene experts at the University of Manchester. Graphene@Manchester is home to an unrivalled breadth of expertise across 30 academic groups. 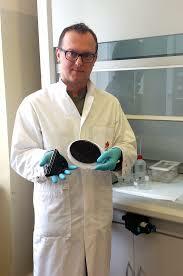 This expertise gives us the ability to take graphene applications from basic research to finished product. Graphene is a disruptive technology; one that could open up new markets and even replace existing technologies or materials. 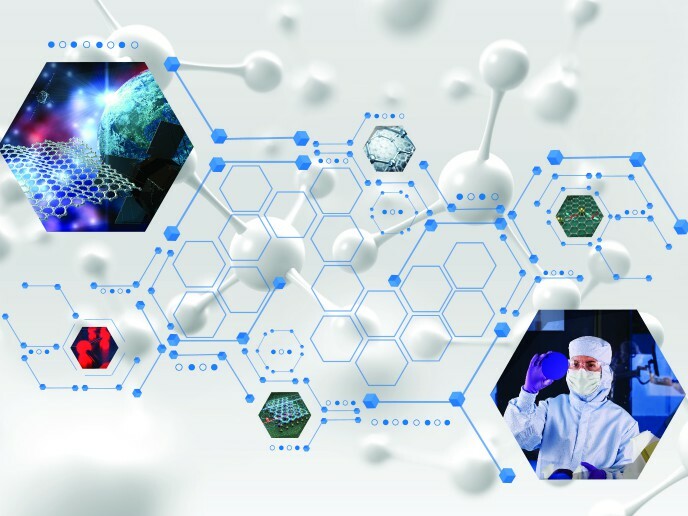 From transport, medicine, electronics, energy, and water filtration, the range of industries where graphene research is making an impact is substantial. Graphene has the potential to create the next-generation of electronics currently limited to science fiction. Our facilities provide dedicated equipment to develop and produce inks and formulations for printed and flexible electronics, wearables and coatings. Versarien plc, is pleased to provide an update on the Company's activities in the United States of America. Versarien has recently established a new US corporate entity, Versarien Graphene Inc, to facilitate the Company's graphene and other 2D materials activities in the USA. The Company is additionally in the process of establishing a new office, laboratory facility and applications centre in Houston, Texas that will act as a hub for the Company's activities in North America. 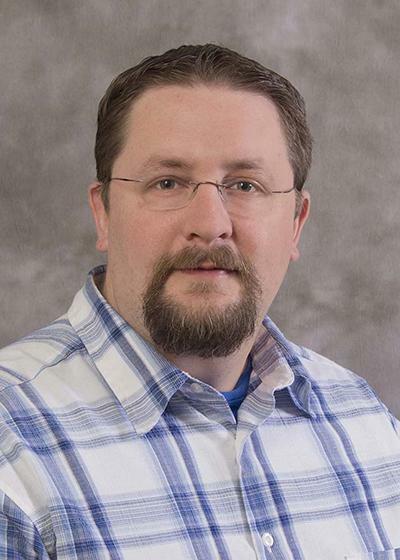 Patrick Abbott has been appointed as Versarien's Vice President North American Operations to oversee these activities and he will be based at the Company's Houston facility once established. 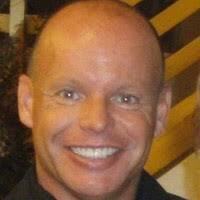 Patrick is an experienced speciality materials professional with over 20 years' experience in the sector. He is a former US Marine Corps Officer who spent over 16 years in a variety of global business development and marketing roles at BASF. In 2015 and 2016, Patrick was part of the team transitioning specific product lines to Huntsman Corporation. 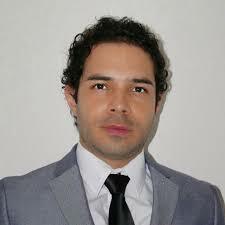 Subsequently he established Global Marketing Empire Solutions, a disruptive technology consulting company and joined XG Sciences, a company focussed on graphene nano technology, as their global sales manager. At XG Sciences he was tasked with assisting the executive team in transitioning the company from an academic company to full commercialisation. The establishment of this US presence follows on from collaboration with partners in the region. Further North American potential collaboration partners and customers have been identified, both through inbound enquires and proactive approaches, and it is intended that the Houston facility and additional resource will enable these to be more efficiently progressed. The Company is pleased to be participating in the UK Government organised "UK Technology and Capability Showcase" being held at Collins Aerospace in Charlotte, North Carolina, on 25 March 2019 where the Company will be presenting its 2D materials technology to Collins Aerospace representatives. Neill Ricketts, CEO of Versarien, commented: "We are very pleased to be moving to the next stage of our development in the US with the establishment of Versarien Graphene Inc and a dedicated facility in Houston. "We are already pursuing a number of substantial opportunities in the US and I expect our level of activity to significantly increase in the coming months, particularly given the high number of enquires we have had for the supply of our graphene and other 2D materials from leading US companies." "I am also particularly pleased we have secured the services of Patrick Abbott and I would like to formally welcome him to the Versarien team. His skills and experience will be invaluable as we look to build more relationships and commercialise graphene enhanced products with US companies." "Coupled with the recent progress we have made in China and elsewhere we remain confident that we can make further rapid progress this year. I look forward to providing further updates on our US and other activities in due course." Water molecules distort the electrical resistance of graphene, but a team of European researchers has discovered that when this two-dimensional material is integrated with the metal of a circuit, contact resistance is not impaired by humidity. This finding will help to develop new sensors –the interface between circuits and the real world– with a significant cost reduction. The many applications of graphene, an atomically-thin sheet of carbon atoms with extraordinary conductivity and mechanical properties, include the manufacture of sensors. These transform environmental parameters into electrical signals that can be processed and measured with a computer. Due to their two-dimensional structure, graphene-based sensors are extremely sensitive and promise good performance at low manufacturing cost in the next years. To achieve this, graphene needs to make efficient electrical contacts when integrated with a conventional electronic circuit. Such proper contacts are crucial in any sensor and significantly affect its performance. But a problem arises: graphene is sensitive to humidity, to the water molecules in the surrounding air that are adsorbed onto its surface. H2O molecules change the electrical resistance of this carbon material, which introduces a false signal into the sensor. However, Swedish scientists have found that when graphene binds to the metal of electronic circuits, the contact resistance (the part of a material's total resistance due to imperfect contact at the interface) is not affected by moisture. “This will make life easier for sensor designers, since they won't have to worry about humidity influencing the contacts, just the influence on the graphene itself,” explains Arne Quellmalz, a PhD student at KTH Royal Institute of Technology (Sweden) and the main researcher of the research. 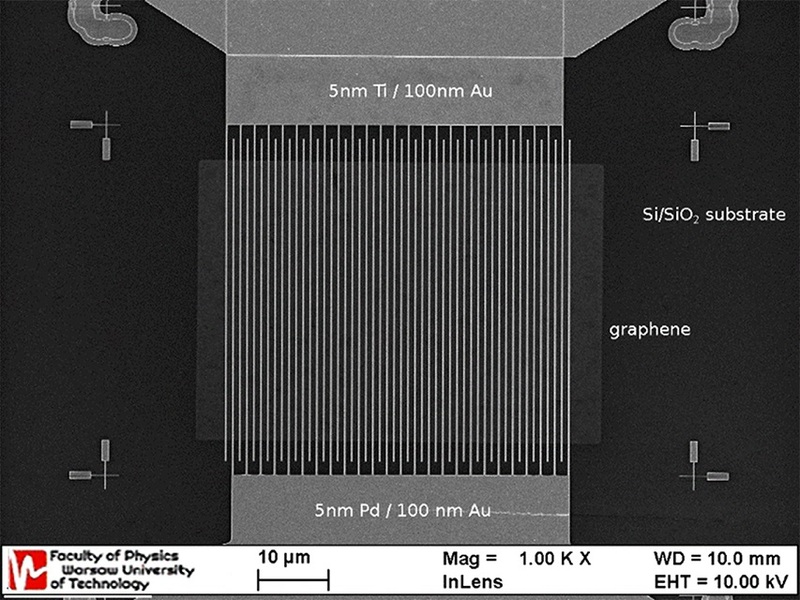 The study, published in the journal ACS Applied Materials & Interfaces, has been carried out experimentally using graphene together with gold metallization and silica substrates in transmission line model test structures, as well as computer simulations. As part of the European CO2-DETECT project, the authors are applying this new approach to create the first prototypes of graphene-based sensors. More specifically, the purpose is to measure carbon dioxide (CO2), the main greenhouse gas, by means of optical detection of mid-infrared light and at lower costs than with other technologies. Two-dimensional (2D) nanomaterials are helping facilitate nanostructure science. Their outstanding nonlinear optical properties like enhanced two-photon absorption and absorption saturation make new applications possible in laser technologies, optical computing and telecommunications. Nowadays, ongoing wave mixing studies in 2D materials mainly focus on harmonic generation. Four-wave mixing in near infrared was recently carried out on a graphene monolayer, and revealed a third-order nonlinear susceptibility χ(3) value, which is about 7 orders of magnitude larger than in bulk insulators like silica and BK7 glass, 3-5 orders larger than in bulk semiconductors like silicon, germanium, cadmium and zinc chalcogenides, metal oxides, and 10 times larger than in thin plasmonic gold films and nanoparticles. Most recently, an even larger value was obtained in graphene nanoribbons at mid-infrared frequencies close to the transverse plasmon resonance. Despite these not yet abundant but impressive advances of phase conjugation in graphene, the effect of 2D materials on Stimulated Brillouin scattering (SBS) remains overlooked. Due to its fundamental importance in laser and fiber telecommunications, the effect currently attracts theoretical considerations concerning bulk and composite semiconductor materials, including practical designs. Recently, a collaborative study led by Prof. Dr. WANG Jun at Laboratory of Micro-Nano Optoelectronic Materials and Devices, Key Laboratory of Materials for High-Power Laser, Shanghai Institute of Optics and Fine Mechanics, Chinese Academy of Sciences, investigated the character of SBS of low-concentration graphene nanoparticle suspensions in N-methyl-2-pyrrolidone (NMP) and water. They found a strong SBS quenching effect which was attributed to the interference of density gratings formed in the liquid by electrostriction and thermal expansion forces (see Fig. 1). Established linear dependences of SBS threshold on graphene absorption coefficient (i.e., concentration) can be used for the detection of small nanomaterial quantities in liquid media down to 5×10-8g·cm-3. Computer simulations of the Brillouin gain factor show the efficiency of different thermodynamic, electrooptic and photoacoustic parameters in the SBS quenching. The role of density and compressibility, which change as a result of carbon vapor bubble formation, is found to be decisive in leading to dramatic changes of refractive index, electrostrictive and acoustic damping coefficients. The effect can give tools to bubble nanosecond dynamics studies and a method of SBS suppression in optical composites applicable in laser technologies and optical telecommunication networks. This study, entitled "Stimulated Brillouin scattering in dispersed graphene" has been published online in Optics Express on Dec. 18, 2018. This work was supported by the Chinese National Natural Science Foundation, the Strategic Priority Research Program of CAS, the Key Research Program of Frontier Science of CAS, the Program of Shanghai Academic Research Leader and President’s International Fellowship Initiative of CAS. Two-dimensional (2D) transition metal dichalcogenides (TMDs) nanomaterials such as molybdenite (MoS2), which possess a similar structure as graphene, have been donned the materials of the future for their wide range of potential applications in biomedicine, sensors, catalysts, photodetectors and energy storage devices. The smaller counterpart of 2D TMDs, also known as TMD quantum dots (QDs) further accentuate the optical and electronic properties of TMDs, and are highly exploitable for catalytic and biomedical applications. However, TMD QDs is hardly used in applications as the synthesis of TMD QDs remains challenging. 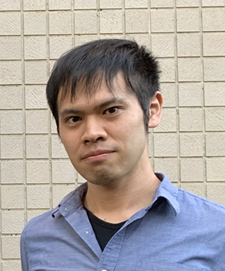 Now, engineers from the National University of Singapore (NUS) have developed a cost-effective and scalable strategy to synthesise TMD QDs. The new strategy also allows the properties of TMD QDs to be engineered specifically for different applications, thereby making a leap forward in helping to realise the potential of TMD QDs. Current synthesis of TMD nanomaterials rely on a top-down approach where TMD mineral ores are collected and broken down from millimetre to nanometre scale via physical or chemical means. This method, while effective in synthesising TMD nanomaterials with precision, is low in scalability and costly as separating the fragments of nanomaterials by size requires multiple purification processes. Using the same method to produce TMD QDs of a consistent size is also extremely difficult due to their minute size. To overcome this challenge, a team of engineers from the Department of Chemical and Biomolecular Engineering at NUS Faculty of Engineering developed a novel bottom-up synthesis strategy that can consistently construct TMD QDs of a specific size, a cheaper and more scalable method than the conventional top-down approach. The TMD QDs are synthesised by reacting transition metal oxides or chlorides with chalogen precursors under mild aqueous and room temperature conditions. 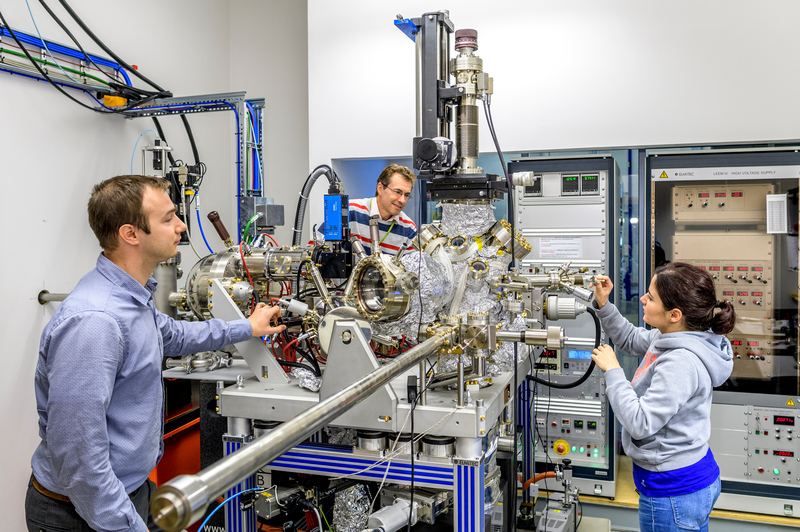 Using the bottom-up approach, the team successfully synthesised a small library of seven TMD QDs and were able to alter their electronic and optical properties accordingly. The team of NUS engineers then synthesised MoS2 QDs to demonstrate proof-of-concept biomedical applications. Through their experiments, the team showed that the defect properties of MoS2 QDs can be engineered with precision using the bottom-up approach to generate varying levels of oxidative stress, and can therefore be used for photodynamic therapy, an emerging cancer therapy. “Photodynamic therapy currently utilises photosensitive organic compounds that produce oxidative stress to kill cancer cells. These organic compounds can remain in the body for a few days and patients receiving this kind of photodynamic therapy are advised against unnecessary exposure to bright light. TMD QDs such as MoS2 QDs may offer a safer alternative to these organic compounds as some transition metals like Mo are themselves essential minerals and can be quickly metabolised after the photodynamic treatment. 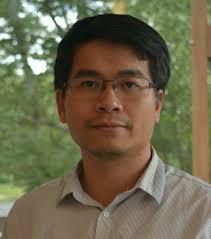 We will conduct further tests to verify this.” Assoc Prof Leong added. The potential of TMD QDs, however, goes far beyond just biomedical applications. Moving forward, the team is working on expanding its library of TMD QDs using the bottom-up strategy, and to optimise them for other applications such as the next generation TV and electronic device screens, advanced electronics components and even solar cells. Two-dimensional sheets of graphene in the form of ribbons a few tens of nanometers across have unique properties that are highly interesting for use in future electronics. Researchers have now for the first time fully characterised nanoribbons grown in both the two possible configurations on the same wafer with a clear route towards upscaling the production. Graphene in the form of nanoribbons show so called ballistic transport, which means that the material does not heat up when a current flow through it. This opens up an interesting path towards high speed, low power nanoelectronics. The nanoribbon form may also let graphene behave more like a semiconductor, which is the type of material found in transistors and diodes. 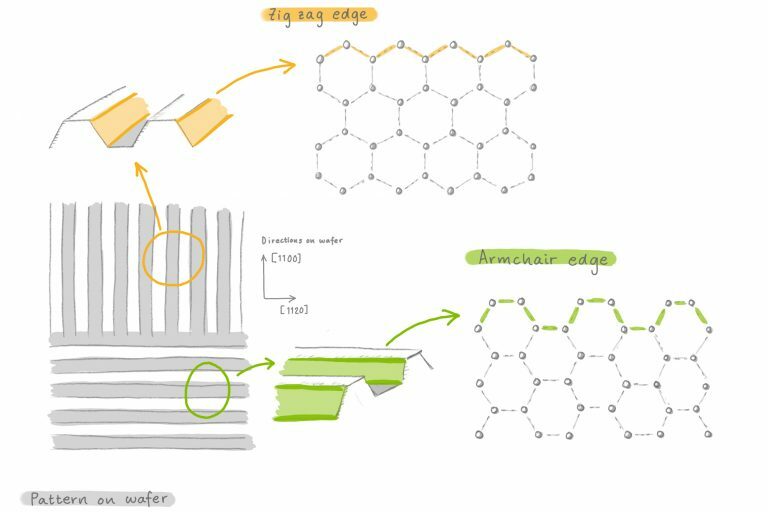 The properties of graphene nanoribbons are closely related to the precise structure of the edges of the ribbon. Also, the symmetry of the graphene structure lets the edges take two different configurations, so called zigzag and armchair, depending on the direction of the long respective short edge of the ribbon. The nanoribbons were grown in two directions along ridges on the substrate. This way both the zigzag- and armchair-edge varieties form and can be studied at the same time. The positions of the atoms in the graphene layer as well as the zig zag edge can be seen from the scanning tunneling microscopy image (Å stands for Ångström, 0.1 nanometers). The nanoribbons were grown on a template made of silicon carbide under well controlled conditions and thoroughly characterised by a research team from MAX IV Laboratory, Technische Universität Chemnitz, Leibniz Universität Hannover, and Linköping University. 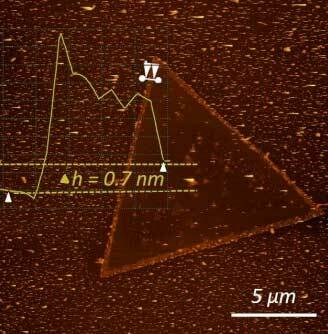 The template has ridges running in two different crystallographic directions to let both the armchair and zig-zag varieties of graphene nanoribbons form. The result is a predictable growth of high-quality graphene nanoribbons which have a homogeneity over a millimeter scale and a well-controlled edge structure. 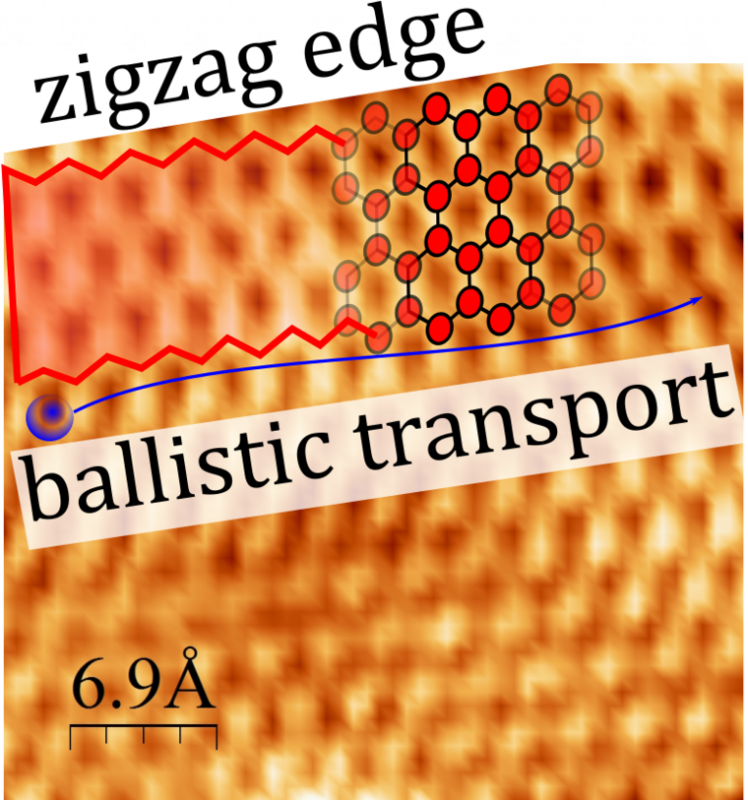 One of the new findings is that the researchers were able to show ballistic transport in the bulk of the nanoribbon. This was possible due to extremely challenging four probe experiments performed at a length scale below 100 nm by the group in Chemnitz, says Alexei Zakharov, one of the authors. The electrical characterization also shows that the resistance is many times higher in the so called armchair configuration of the ribbon, as opposed to the lower resistance zig-zag form obtained. This hints to a possible band gap opening in the armchair nanoribbons, making them semiconducting. The process used for preparing the template for nanoribbon growth is readily scalable. This means that it would work well for development into the large-scale production of graphene nanoribbons needed to make them a good candidate for a future material in the electronics industry. So far, we have been looking at nanoribbons which are 30–40 nanometers wide. It’s challenging to make nanoribbons that are 10 nanometers or less, but they would have very interesting electrical properties, and there´s a plan to do that. Then we will also study them at the MAXPEEM beamline, says Zakharov. The measurements performed at the MAXPEEM beamline was done with a technique not requiring X-rays. The beamline will go into its commissioning phase this spring and will start welcoming users this year. 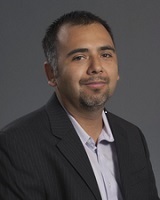 A research group at Boise State University led by Assistant Professor David Estrada of the Micron School of Materials Science and Engineering has released the open-source design of a chemical vapor deposition (CVD) system for two-dimensional (2D) materials growth, an advance which could lower the barrier of entry into 2D materials research and expedite 2D materials discovery and translation from the benchtop to the market. While 2D materials can be obtained from bulk van der Waals crystals (e.g. graphite and MoS2) using a micromechanical cleavage approach enabled by adhesive tapes, the community quickly realized that unlocking the full potential of 2D materials would require advanced manufacturing methods compatible with the semiconductor industry’s infrastructure. Chemical vapor deposition is a promising approach for scalable synthesis of 2D materials – but automated commercial systems can be cost prohibitive for some research groups and startup companies. In such situations students are often tasked with building custom furnaces, which can be burdensome and time consuming. While there is value in such endeavors, this can limit productivity and increase time to degree completion. A recent trend in the scientific community has been to develop open-source hardware and software to reduce equipment cost and expedite scientific discovery. Advances in open-source 3-dimensional printing and microcontrollers have resulted in freely available designs of scientific equipment ranging from test tube holders, potentiostats, syringe pumps and microscopes. Estrada and his colleagues have now added a variable pressure chemical vapor deposition system to the inventory of open-source scientific equipment. The design and qualification of the furnace was accomplished by lead authors Dale Brown, a former Micron School of Materials Science and Engineering graduate student, and Clinical Assistant faculty member Lizandra Godwin, with assistance from the other co-authors. The results of their variable pressure CVD system have been published in PLoS One ("Open-source automated chemical vapor deposition system for the production of two- dimensional nanomaterials") and include the parts list, software drivers, assembly instructions and programs for automated control of synthesis procedures. Using this furnace, the team has demonstrated the growth of graphene, graphene foam, tungsten disulfide and tungsten disulfide – graphene heterostructures. Last June, we covered research that brought graphene, quantum dots and CMOS all together into one to change the future of both optoelectronics and electronics. That research was conducted at the Institute of Photonics (ICFO) located just outside of Barcelona, Spain. The Graphene Council has been speaking to Frank Koppens at ICFO since 2015 about how graphene was impacting photonics and optoelectronics. Now, in a series of in-person interviews with several researchers at ICFO (the first of which you can find here), we are gaining better insight into how these technologies came to be and where they ultimately may lead. The combination of graphene with quantum dots for use in optoelectronics stems in large part from the contributions of Gerasimos Konstantatos, a group leader at ICFO, who worked with Ted Sargent at the University of Toronto, whose research group has been at the forefront of exploiting colloidal quantum dots for use in a range of applications, most notably high-efficiency photovoltaics. Konstantatos and his group were able to bring their work with quantum dots to the point of the near-infrared wavelength spectrum, which falls in the wavelength size range of one to five microns. Konstantos is now developing these solution-based quantum dot materials to produce even more sensitive materials capable of getting to 10 microns, putting them squarely in the mid-infrared range. “My group is now working with Frank Koppens to sensitize graphene and other 2D materials in order to make very sensitive photodetectors at a very low cost that are capable of accessing the entire spectrum, and this cannot be done with any other technology,” said Konstantatos. What Konstantatos and Koppens have been able to do is to basically eliminate the junction between graphene and the quantum dots and in so doing have developed a way to control the charge transfer in a very efficient way so that they can exploit the very high mobility and transport conductance of graphene. “We can re-circulate the charges through the materials so that with a single photon we have several billion charges re-circulating through the material and this constitutes the baseline of this material combination,” adds Konstantatos. With that as their baseline technology, Konstantatos and his colleagues have engineered the quantum dot layer so instead of just having a passive quantum dot layer they have converted it into an electro-diode. In this way they can make much more complex detectors. In the combination of the graphene-based transistor with the quantum dots, it’s not just a collection of quantum dots but is a photodiode made from quantum dots. In addition to the use of graphene, the ICFO researchers are looking at other 2D materials in this combination, specifically the semiconductor molybdenum disulfide. While this material is a semiconductor and sacrifices somewhat on the electron mobility of graphene, it does make it possible to switch off the material to control the current. As a result, Konstantatos notes that you can have much lower noise in the detector with much lower power consumption. In continuing research, Konstantatos hinted at yet to be published work on how all of this combination of quantum dots and graphene could be used in solar cell applications. In the meantime, the work they have been doing with graphene and quantum dots is much further advanced than what they have yet been able to achieve with molybdenum disulfide, mainly because work has advanced much further in making large scale amounts of graphene. But as the processes for producing other 2D materials improves, there will be a real competition between all of the 2D materials to see which provides the best possible performance as well as manufacturability properties. In any event, Konstantatos sees that the way forward with both quantum dots and 2D materials is using them together.